In a new report researchers from the University of Oulu in Finland revealed some ground breaking research. The material that they have been working with is from the perovskites family, and it has some incredible potential for generating power. 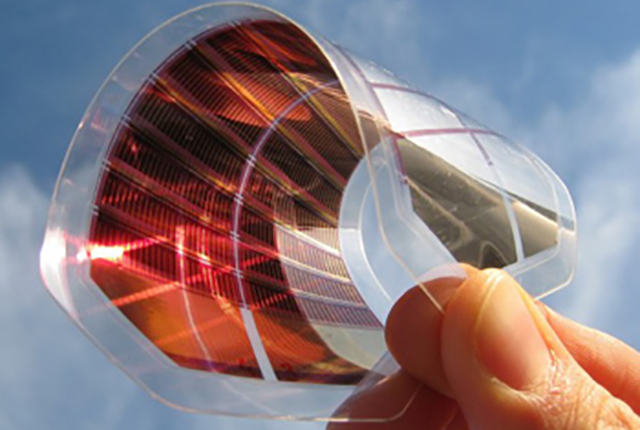 Perovskites are a subclass of minerals that have potential for use as energy generators. Some types show promise for use in solar cells, and others may be perfect for collecting energy from variations in temperature and pressure. What many people don know is that motion creates small changes in temperature and atmospheric pressure. While we may not feel these changes, some of the perovskites do, and this is why they are considered to be pyroelectric and piezoelectric materials. The type of perovskite that was used in this research is called KBNNO, and it shows incredible potential for generating power from both changes in temperature and pressure. If a ferroelectric material like KBNNO experiences a change in temperature, the dipoles in the mineral misalign. This misalignment induces an electric current, and gives the material great potential as a electric generator. An electric charge is also generated from the direction of the dipoles orientation. So when the material is deformed, some regions will attract or repel charges, and this also generates electricity. Up to this point perovskites have not been the subject of much research, and this was one of the first studies that ever dealt with their practical applications for technology. The researchers think that commercializing the production of perovskite based generation technology would be relatively easy. The applications are endless, but consumer electronics are an obvious market for this type of generation technology. This material could be built into just about anything, and may eventually eliminate the need for batteries in small electronics altogether. We will be very interested to see how this amazing technology develops over the coming years.